Born in Gandía (Valencia, Spain) in 1966. BA in Economics (Universidad de Valencia, Spain), PhD in Economics and Master in Banking and Finance (University of Wales, Bangor, UK). Professor of Economics and Finance at the Bangor Business School, UK. He is the Head of Financial Studies of the Spanish Savings Bank Foundation (FUNCAS). He is an independent board member of Cecabank. He is President of the Rating Committee of Axesor. He is Chairman of Game Stores Iberia. He is also Research Professor at the Instituto Valenciano de Investigaciones Económicas. Former Consultant at the Federal Reserve Bank of Chicago. He was Professor of Economics at the University of Granada during 2003-2012, Head of the Department of Economics at the University of Granada during 2004-2006 and Dean of the School of Economics and Business of the University of Granada during 2006- 2008. 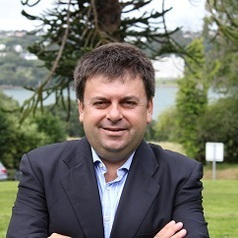 He has been (and in some cases still is) consultant for public institutions such as the European Central Bank, the European Commission, the Spanish Ministry of Science and Innovation, the Spanish Ministry of Labour and the Institute of European Finance) and for private institutions such as banks (i.e. research department of BMN) and leading economic consulting companies. He has written over 200 articles and other publications on the financial system. He has published articles in peer-reviewed journals such as European Economic Review, Review of Finance, Journal of Money, Credit and Banking, Journal of International Money and Finance or Journal of Banking and Finance. He has given conferences, lectures and seminars at international institutions (G-20, World Bank, World Savings Banks Institute), central banks and government bodies.